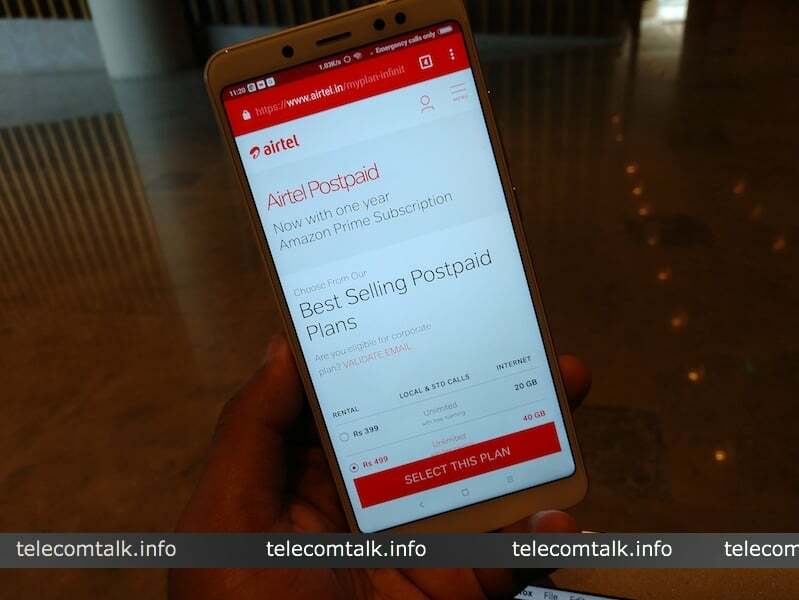 Bharti Airtel has brought back the Rs 649 postpaid plan after killing it for more than a month. During the last revision of its myPlan Infinity postpaid plans, Airtel removed the Rs 649 postpaid plan and made it easier for users to choose between the Rs 399, Rs 499, Rs 799 postpaid plans below Rs 1000. But the telco has reintroduced the Rs 649 plan now with better benefits than the last time. As expected, the Rs 649 plan sits between the Rs 499 and Rs 799 plans, both in terms of pricing and benefits. Talking about the benefits, the Rs 649 plan gives 50GB of data per month, which is 10GB more than the Rs 499 plan and 10GB less than the Rs 799 plan. The Rs 499 plan gives 40GB of data, whereas the Rs 799 plan offers 60GB of data. Airtel did not bring back the Rs 999 postpaid plan which was also removed during the same time. Alongside the 50GB data benefit, Bharti Airtel is also offering unlimited voice calls even on roaming without any FUP limit, 100 SMS per day for the entire billing cycle. And on top of these, users will also get premium access to Airtel Wynk Music, Airtel TV and Airtel Secure device protection scheme. Lastly, Airtel is also offering one free add-on connection with the revamped Rs 649 plan. Earlier, the telco offered add-on connections starting with the Rs 799 plan, but the company has now modified them. The Rs 649 plan gives access to one add-on connection, while the Rs 799 plan now gives two add-on connections. The Rs 1199 postpaid plan now offers three add-on connections. Basically, an add-on connection is something which allows a user to add a child Airtel postpaid connection to the primary account and enjoy the same benefits. Earlier, Airtel used to charge Rs 99 to add a number to your account, but that has changed now. And the voice calls to this add-on connections will be completely free without any FUP limit and the data benefit will be shared between the connections. For example, if you add two postpaid connections with the Rs 799 plan, your data benefits of 60GB will be shared between the three numbers, while voice calls will be free for the entire duration. Of course, Airtel is also offering free Amazon Prime Subscription with the Rs 649 plan. Its been a while since Airtel revised the myPlan Infinity postpaid plans. While the reintroduction of Rs 649 plan is a debatable one, but the leading telco is now offering add-on connection service from as low as Rs 649, which is a good thing. Airtel is afraid of the BSNL Rs.1199 wired broadband plan’s recently added benefits.